Christmas and the Holidays are right around the corner and while you are rushing and bustling to make this time of year so special and magical for everyone else, I encourage you to do a little something for you. Sit down, take a little time and enter a fabulous giveaway! My own giveaway details and widget are at the end, so be sure to read and scroll through the whole post so that you get the chance to enter and win all of the giveaways, including a special $200 gift card to Sephora or Ulta! *Details below. 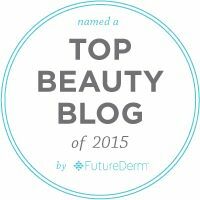 Over 30 fabulous beauty bloggers have all teamed up to give away "A Few of Our Favorite BEAUTY Things!" to our readers! It was created to be a fun blog hop to give back to you -- our readers -- and hopefully help you discover new beauty blogs and makeup lovers along the way! 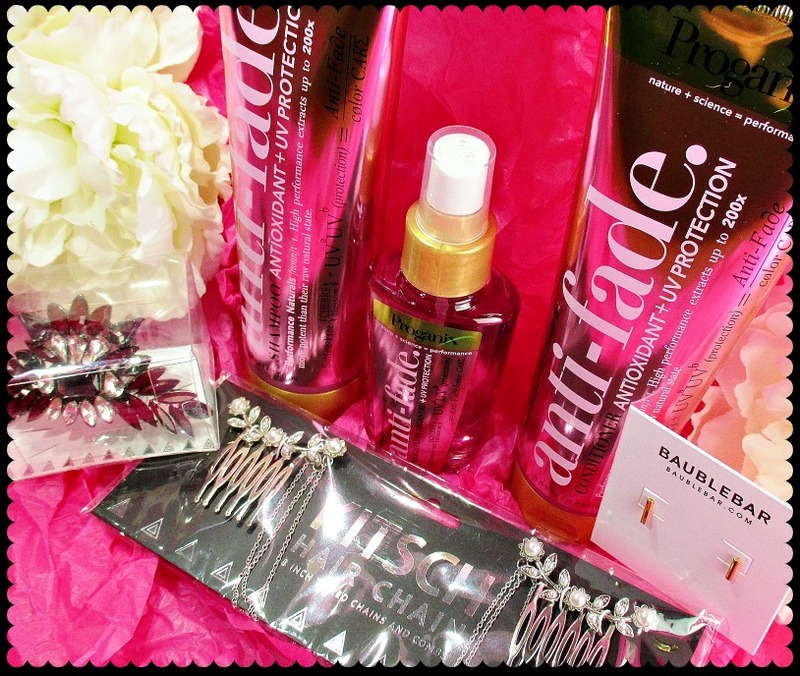 Here is a picture of the fabulous goodies you can enter to win, when you hop to all of the blogs! Here's How it Works: Each of the over 30 blogs participating in this blog hop are giving away their own bundle of beauty items on their blog. Yes, you heard that right -- over 30 separate giveaways that you have a chance to win! So after you've entered my giveaway (my widget and details are below! ), make sure you hop to all the other blogs (linked below) for more beauty products that you could win! It Gets Better: As if that wasn't awesome enough...we've added a little something to make the giveaway even sweeter! 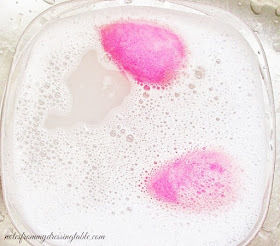 For those gals who can't pass up on the chance to win beauty products...if you enter into all the giveaways in the blog hop than you're eligible to enter to win a $200 eGiftcard to Sephora or Ulta (winners choice!). If you live somewhere where Sephora or Ulta doesn't ship, no worries! You'll be given the $200 via PayPal to use at whatever beauty store you have in your country! International Readers: There are a few blogs who do not have their giveaway open worldwide, but you can still enter to win the grand prize giveaway! For all the blogs in this hop that do not have their giveaway open worldwide, all you have to do is check out their giveaway, complete the one required entry, and leave them a comment on their giveaway post letting them know you're international but still did the required entry so that you can have a chance to win the grand prize! My giveaway prize is a Three Piece Proganix Hair Care Set including Anti Fade Shampoo and Conditioner with UV Filters, Glossing Spray with Argan Oil, sparkly hair toys including a beautiful bun comb and a double comb with chains and a brand new pair of Bauble Bar tubular stud earrings in gold. I am prone to tossing in surprise extras so... Your package may just contain something unexpected, as well! Rules are simple! Enter with the Rafflecopter widget, only please! This giveaway runs through 12/20/15 at 11:59. Please be over 18 or have your parent or legal guardian's permission to enter and give me your contact info. Only one entry is mandatory! But do as many tasks as you like to increase your chances of winning! This giveaway is open internationally. Any customs fees/taxes or other fees are the responsibility of the winner. You will have 48 hours after I e-mail you to respond with your address. If I don't hear from you within that time, I will draw a new winner. This prize is a one off, there will be no replacements if it is lost or damaged in transit. No cash substitution is offered or implied. No drama! Save it for the stage. I don't want it or need it and I don't put up with it. Here is a pic of the prize I am offering! All products are brand new, unopened. The earrings have never been off the card. Good Luck and Thank You! for reading, entering and following and all of that good stuff! I appreciate all of you and this is going to be fun! Now, hop on the Rafflecopter Widget and get to it! Woo-Hoo! !